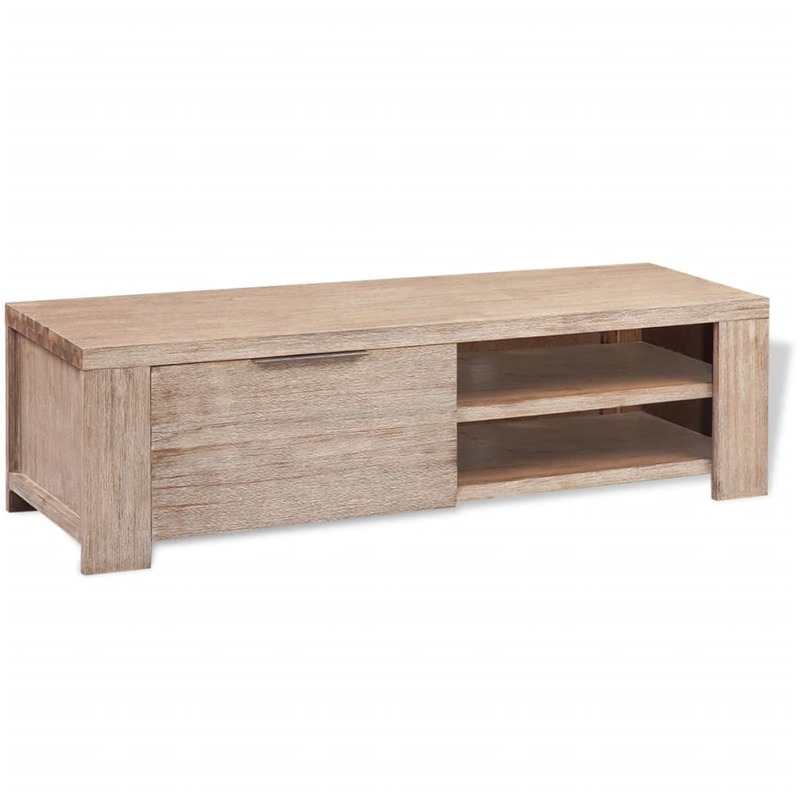 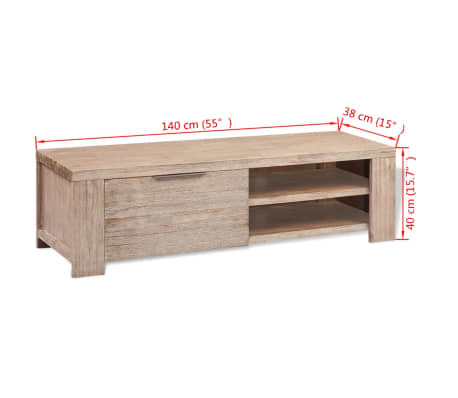 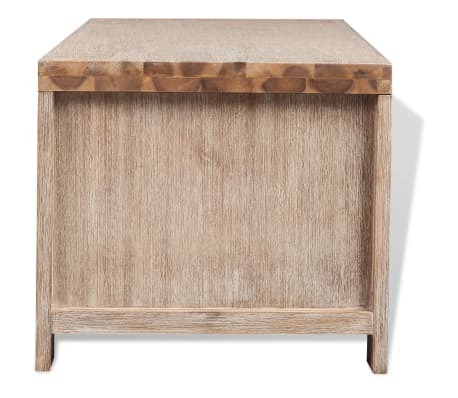 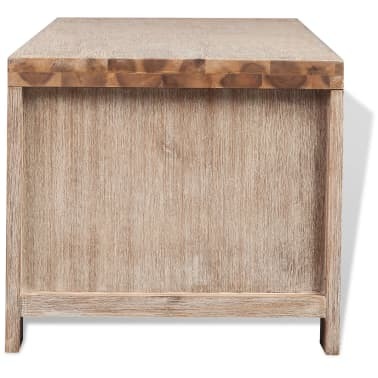 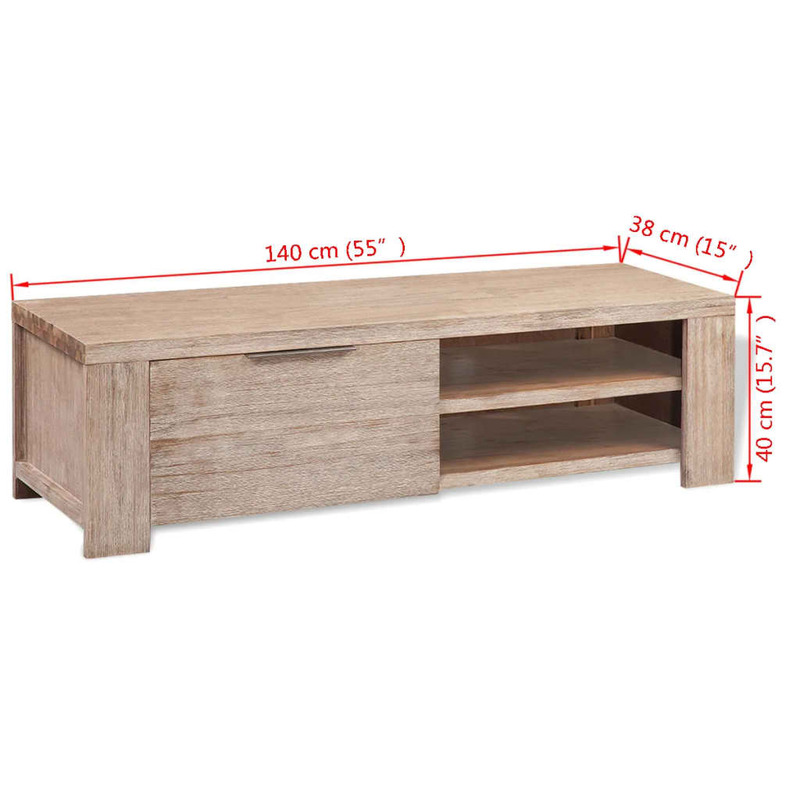 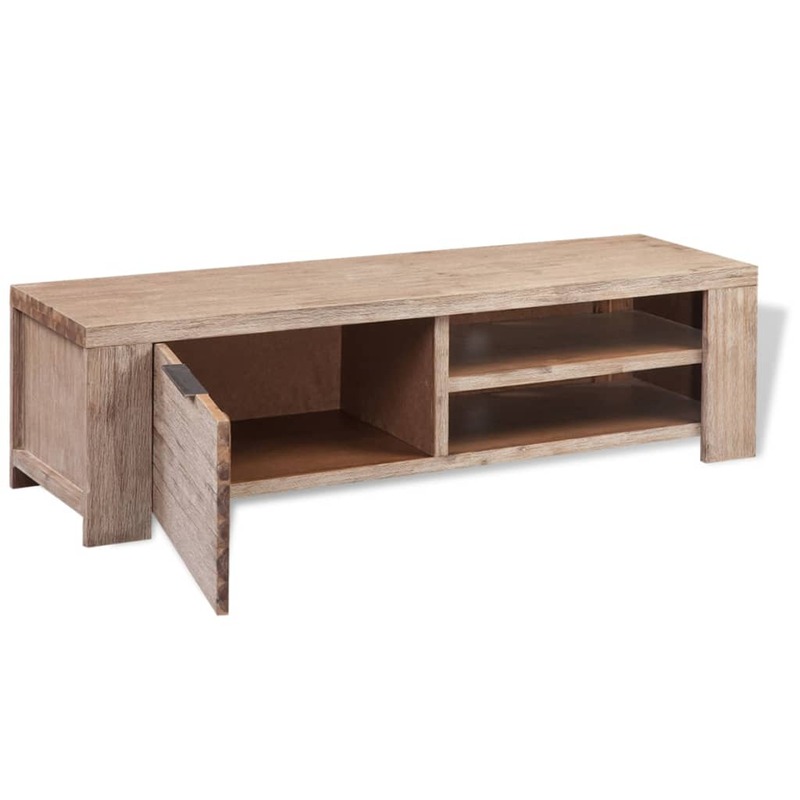 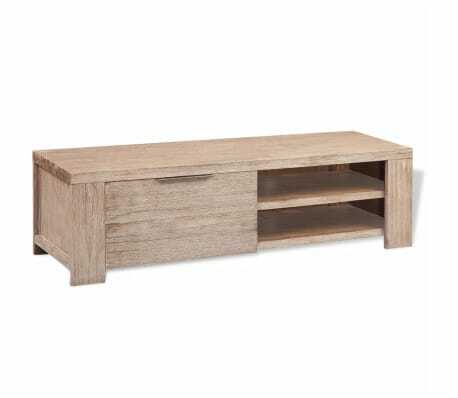 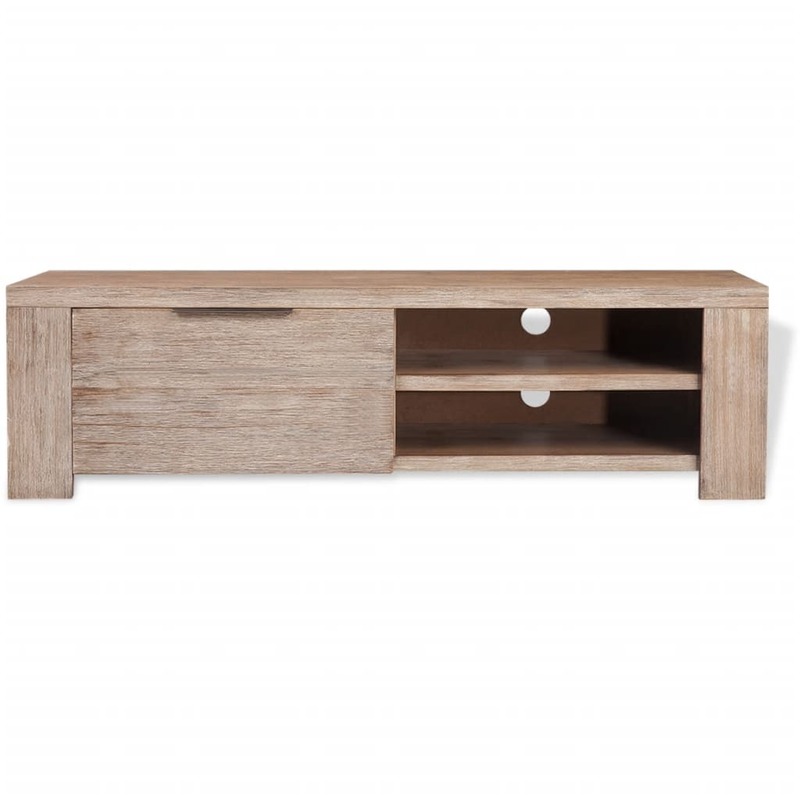 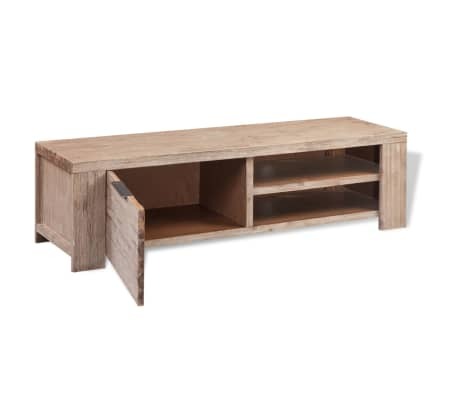 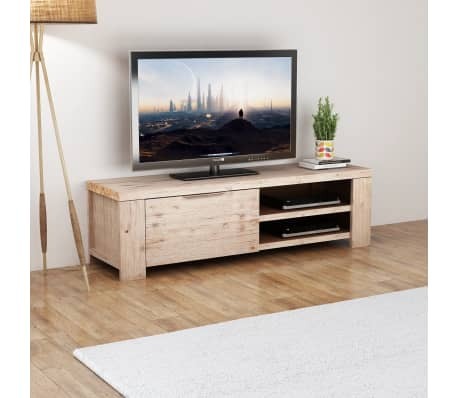 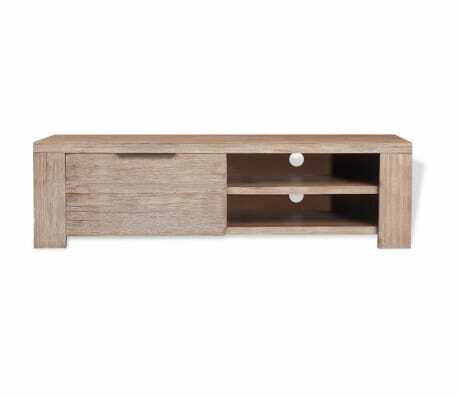 Made of solid acacia wood with a brushed finish, this TV cabinet is highly durable and has a rustic look and feel that will suit any bedroom or living room. 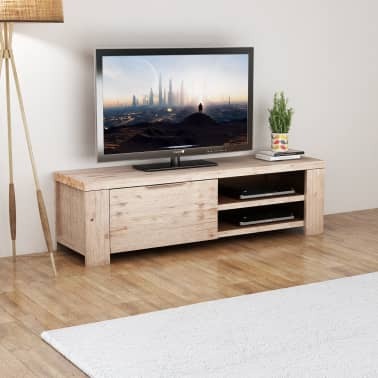 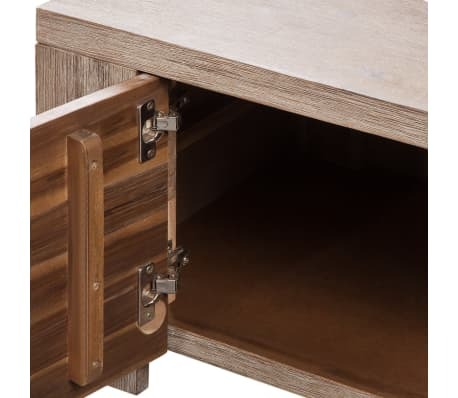 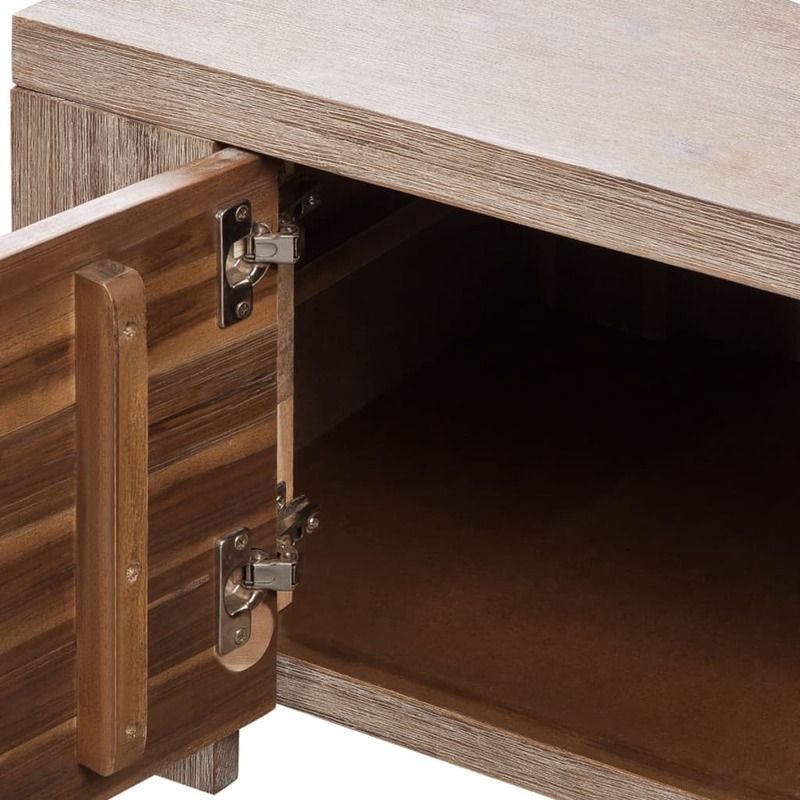 This TV stand features a spacious cabinet for knick-knacks and two shelves for DVD players, media carriers, or gaming consoles. Two convenient cable outlets allow you to neatly keep all wires out of sight. 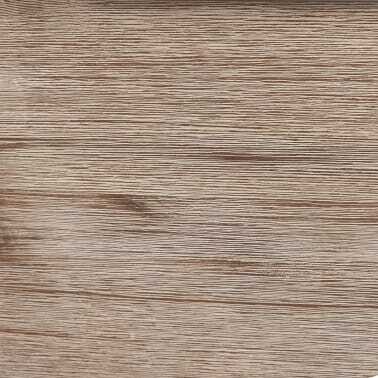 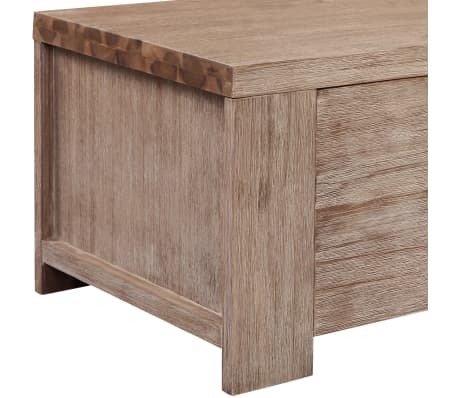 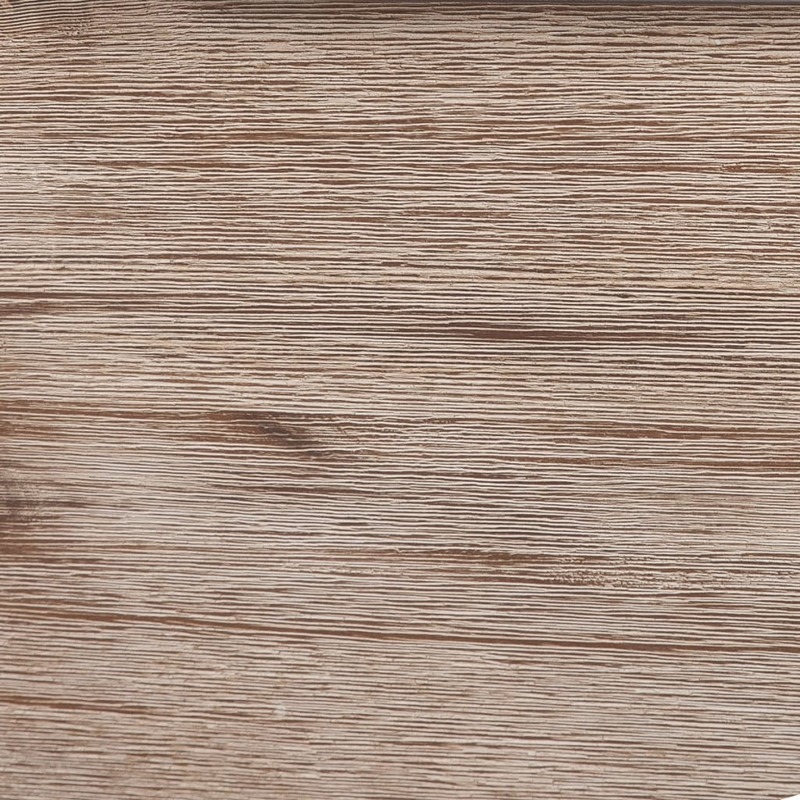 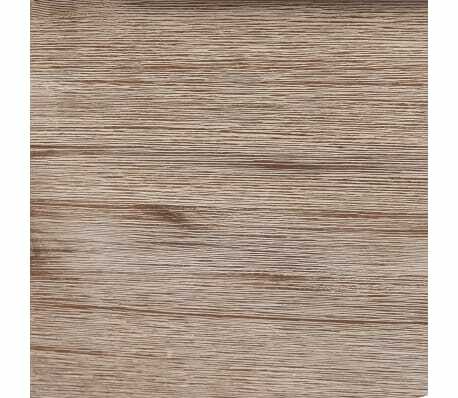 vidaXL Coffee Table Solid Brushed Acacia Wood 43.3"x23.6"x15.7"